The Dorchester Reporter reports on the planned sober home for 15 women on Percival Street, after a meeting at which ISD Commissioner William Christopher accused the operators of betraying him and the residents. "I am pretty upset at the dealings that you’re going to have with the city, because your word no longer means anything to me," he told them. 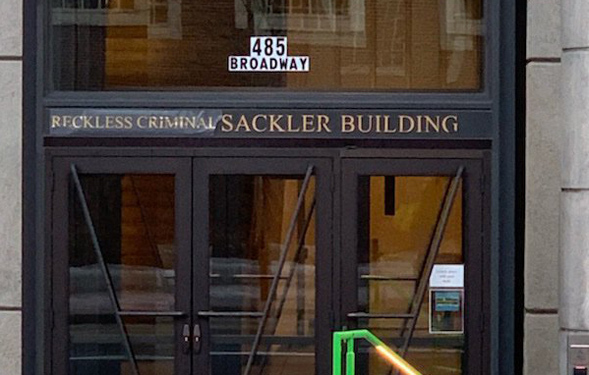 Ray noticed a new, if temporary, name for Harvard's Arthur M. Sackler Building, named for the donor and patriarch of the Sackler family, which owns Purdue Pharma, maker of OxyContin. Read more. WBUR reports on how and why Meetinghouse Hill wasn't having it. The Boston Sun reports the mayor, who once completely opposed the idea of allowing a place where people with opioid addictions could shoot up under medical supervision, told the South End Forum he has been impressed by the experience in Edmonton, where they're spread among hospitals in the city, reducing the odds of creating a single point where people would be preyed on outside. In addition to medical supervision, people are given the opportunity to sign up for programs to help them beat their addiction. The question might be moot for now, however, because the local US Attorney has vowed to go after any medical professionals who participate in such a program. Mayor Walsh said today he's picked a South Carolina-based lawfirm to file suit against the makers of opioids to try to recover some of the costs he says the city has incurred treating and dealing with users of their products. Read more. Mayor Walsh said today he's looking at a possible lawsuit against companies that make and market narcotics. In a statement, he said: Read more. Arlington Police report a crash at Mystic Valley Parkway and River Street around 1 p.m. today was the result of the driver nodding off on an opioid. Read more. The Herald analyzes reports to the city's 311 system, finds discarded needles are showing up all across the city, including playgrounds, keeping parents wary and the city's four full-time needle removers busy. The Daily Mail highlights Methadone Mile. CommonHealth reports on a possibly encouraging set of statistics. Despite intense efforts by a city crew to pick up needles, Newmarket Square, where Methadone Mile begins (or ends), remains full of abandoned syringes. ZD Gordon shows us a not-so-rare Newmarket Porcupine. 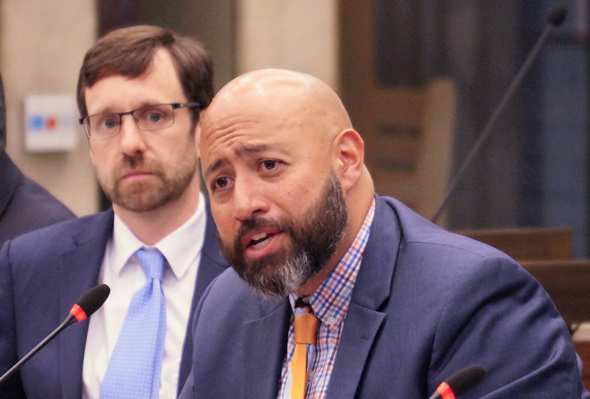 Giving addicts a place where they could shoot up under medical supervision would save lives and clean up neighborhoods, several doctors - and one heroin addict - told several Boston city councilors at a hearing today. Read more. City Councilors Annissa Essaibi-George (at large) and Frank Baker (Dorchester) say that with opioid deaths continuing to rise, it's time to look at possibly setting up a place where addicts could inject themselves while under the supervision of healthcare workers who could administer emergency aid. Read more.